Efficient Drivetrains and American Repower are partnering to convert a fleet of six armored vans to run on compressed natural gas with a plug-in hybrid. >”When hauling around massive amounts of money and valuables around Southern California, security is generally a much bigger concern than fuel economy. However, the need for vehicles to become more efficient is hitting every segment, even armored vans. That’s why Efficient Drivetrains Inc. and North American Repower are teaming up to convert six of these 26,000-pound behemoths run on natural gaswith a plug-in hybrid offering additional help. The first one should be hauling riches for Sectran Security around Los Angeles in 2016. All three companies are already positioning the upcoming conversion as a win-win solution to current issues. The armored vehicles can still do their job of hauling money around the LA area but with a claimed 99.9 percent reduction in emissions from the current diesel engines. Generally, the vans make frequent stops while at work but must stay running for security reasons. This can potentially run afoul of California’s rule not to let diesels idle more than five minutes. With this upcoming version, drivers will be able to go electrically between stops and then will use the natural gas when cruising. OCEANSIDE, Calif. & MILPITAS, Calif.–(BUSINESS WIRE)–Two global leaders in developing and manufacturing advanced transportation vehicles have teamed up to manufacture a first-of-its-kind fleet of Class-5 armored vehicles that combine the benefits of Renewable Natural Gas (RNG) and zero emission Plug-In Hybrid Electric Vehicle (PHEV) technology. The team took off-the-shelf geothermal generators and hooked them to pipes carrying boiling waste water. They’re set to flip the switch any day. When they do, large pumps will drive the steaming water through the generators housed in 40-foot (12-meter) containers, producing electricity that could either be used on site or hooked up to power lines and sold to the electricity grid. >”Oil fracking companies seeking to improve their image and pull in a little extra cash are turning their waste water into clean geothermal power. For every barrel of oil produced from a well, there’s another seven of water, much of it boiling hot. Instead of letting it go to waste, some companies are planning to harness that heat to make electricity they can sell to the grid. Companies such as Continental Resources Inc. and Hungary’s MOL Group are getting ready to test systems that pump scalding-hot water through equipment that uses the heat to turn electricity-generating turbines before forcing it back underground to coax out more crude. Though the technology has yet to be applied broadly, early results are promising. And if widely adopted, the environmental and financial benefits could be significant. Drillers in the U.S. process 25 billion gallons (95 billion liters) of water annually, enough to generate as much electricity as three coal-fired plants running around the clock — without carbon emissions. “We can have distributed power throughout the oil patch,” said Will Gosnold, a researcher at the University of North Dakota who’s leading Continental Resources’ project well. Geothermal power also holds out the promise of boosting frackers’ green credentials after years of criticism for being the industry’s worst polluters, says Lorne Stockman, research director at Oil Change International, an environmental organization that promotes non-fossil fuel energy. Then there’s the money. With crude at less than $50 a barrel, every little bit can help lower costs. At projects like the one being tested by Continental Resources in North Dakota, a 250 kilowatt geothermal generator has the potential to contribute an extra $100,000 annually per well, according to estimates from the U.S. Energy Department. Thirty five years ago concerned ratepayers challenged BC Hydro, the BC Utilities Commission and the Provincial government to admit that electricity conservation and small power projects were preferable to flooding the farm lands of the Peace Valley. Building another dam was not the answer then, and it is not the answer today. >” Roger Bryenton & Associates, 2015 […] Conservation, plus a variety of smaller, low impact green projects can save and produce more electricity at a lower cost, with less risk, than Site C.
British Columbia has demonstrated its responsibility to live in harmony with nature when building, living and developing resources; doing “more with less”. BC Hydro is to be commended on using conservation and Independent Power producers to supply a reliable and robust power system. Ratepayers recognize these efforts and will help by saving electricity, conservation, and using small scale, “flexible” projects which can readily be adjusted to changes in demand. Presently, we are excluding the Columbia River Treaty benefits, Alcan and Teck-Cominco power resources, and time-of- use rates which could optimize the “provincial system”. Power from the Columbia River Treaty is being sold at market rates of 3 to 4 cents/kWh rather than be included in the supply equation, where it would be worth 8 to 10 (or more) cents/kWh. Alcan and Cominco have massive dams and plants that could contribute capacity when needed, while regulations presently prevent time-of-use rates to reduce peak demand, a technique used by leading utilities worldwide. 1. Columbia River Entitlement – Both the Capacity and the Annual Energy of Site C are close to what the Columbia River entitlement offers: Site C is 1,100MW and 5,100 GWh/yr while Columbia is 1,250 MW and 4,400 GWh/yr. 2. Cost – In the original submission, the cost estimate of Site C was $5.7 Billion, or $83/MWh (8.3 cents/kWh). During hearings this increased, first to $7.9 Billion , or $114/MWh (11.4 cents/kWh). It has increased again, to the present $8.8 billion or $126 /MWh ( 12.6 cents /kWh). By BC Hydro’s own calculations, there are literally hundreds of clean, renewable small projects that can provide capacity and energy under $114, and many more under $126/MWh. 3. Timing – Even a small amount of new power will not be needed until 2027! A massive dam takes 8 to 10 years to complete. Conservation and small power plants require a few months to 3 years to complete. Building an 1,100 MW dam if we only need 100MW is “like using a sledge hammer to crack a nut” (A. Lovins). We will not need 1100MW even by 2033 when conservation and small plants can better follow growth . 4. Capacity – Firm Capacity is only needed for a few hours every year! We do not need a huge dam to do this. – Time of use rates. By 2020 almost 400MW of savings at $31/kW-yr would be available by significantly shifting peak loads. BC Hydro does this operationally but has refused to include it in their submitted plan. – Pumped storage at Mica and elsewhere is economical at these prices – we do not need to flood more farmland. – Geothermal also offers firm capacity. – An Agreement with Alcan for some peaking, a few hours each year is feasible, but not proposed in the Site C plan. 5. Energy – Conservation, doing “more with less”, has been effective during the past 35 years, when Site C hearings originally delayed this project! A New Era for Geothermal Energy in Alberta? Standard thinking for decades has been that geothermal technology is too costly and inefficient to be a significant source of energy. But a growing number of experts say the time may be right for geothermal to assume a higher profile, especially in ‘perfectly situated’ Alberta. >” […] The economics of renewable energy projects are improving as governments begin to introduce carbon taxes and other fees on large carbon-emitting facilities, such as coal power plants. Geothermal power plants turn hot water into electricity. Companies drill underground for water or steam similar to the process of drilling for oil. The heat is brought to the surface and used to spin turbines. The water is then returned underground. Hirsch describes geothermal as “a perfectly green, perfectly renewable source of electricity.” He also suggests geothermal could be a boon for the province, where companies have had a knack for developing “marginal resources” such as the oilsands. Geothermal power plants cost more money than natural gas facilities. For some perspective, consider the Neal Hot Springs plant in Oregon that was constructed in 2012 for $139 million for 22 megawatts of production. The Shepard natural gas power plant in Calgary began operating this year with a total cost of $1.4 billion for 800 megawatts of electricity. In this comparison, the geothermal facility costs three times as much per megawatt of power. Enbridge, a part-owner of the Neal Hot Springs plant, has said the plant saves about 159,000 tonnes per year of carbon dioxide emissions compared to a similar-sized natural gas facility, and about more than 340,000 tonnes per year compared to a coal power plant. Coal facilities supply nearly 40 per cent of electricity in Alberta. While the NDP government has yet to announce a specific policy, the party ran on a campaign platform in the recent election pledging to phase out coal. Premier Rachel Notley has announced an increase to the province’s carbon pricing rules and is expected to announce significant climate change policies this year. Such changes improve the economics of renewable energy projects, such as geothermal. Two potential geothermal energy projects near Pemberton could generate electricity for about seven cents a kilowatt hour — only slightly higher than the 5.8 cents to 6.1 cents a kilowatt hour cost estimate of the Site C dam project. >” […] There are no geothermal energy projects operating in B.C. but the study estimated the cost per kilowatt hour for the nine sites would range from 6.9 to 7.1 cents for Pebble Creek and Meager Creek near Pemberton to 17.6 cents for Clarke Lake near Fort Nelson. BC Hydro senior strategic technology specialist Alex Tu said some of the projects appear promising but stressed the cost estimates are still “very uncertain” and carry a lot of risk. Tu noted BC Hydro invested tens of millions of dollars drilling at the two Pemberton area sites in the 1970s and 1980s but could only produce enough steam for a 20-kilowatt demonstration facility that operated for 18 months. Geothermal power facilities work by drilling into the earth and redirecting steam or hot water into turbines that convert the energy from the fluid into electricity. Tu said Hydro has always been open to geothermal power as an alternative energy source but no geothermal projects have ever been submitted to Hydro in any of its calls for power from independent power producers. Hydro’s standing offer program offers to pay producers $100 a megawatt hour for smaller energy projects of up to 15 megawatts. The two Pemberton area geothermal sites each have estimated capacities of 50 to 100 megawatts. Borealis GeoPower chief geologist Craig Dunn, whose Calgary-based firm hopes to build two geothermal power plants in B.C. by 2018, said he was excited by the Kerr Wood study, which was commissioned by BC Hydro and Geoscience BC. “I think it’s a giant step forward in recognizing that geothermal is a viable energy opportunity for the province of British Columbia,” he said. Dunn said the drilling and turbine technology associated with geothermal power continues to improve, making that form of energy more economically viable than ever. “As a private developer, I know that my costs are significantly less than the estimates,” he said. 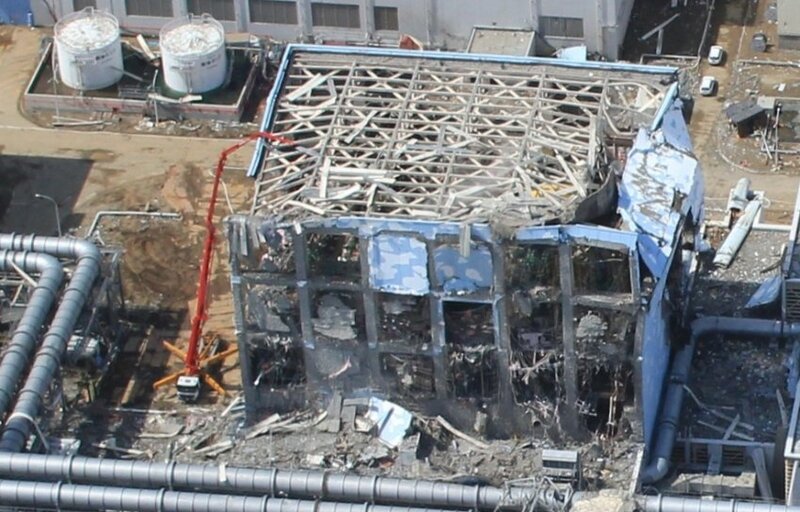 >” […] Fukushima will likely go down in history as the biggest cover-up of the 21st Century. Governments and corporations are not leveling with citizens about the risks and dangers; similarly, truth itself, as an ethical standard, is at risk of going to shambles as the glue that holds together the trust and belief in society’s institutions. Ultimately, this is an example of how societies fail. Nexen Energy apologized Friday for a major leak in an Alberta pipeline that was only installed last year and said a warning system failed to detect it. >” […] A contractor discovered the leak Wednesday about 35 kilometres southeast of Fort McMurray, Alta. Nexen shut down the pipeline soon after, but not before some five million litres of bitumen, produced water and sand spilled into muskeg. John Bennett, national program director of the Sierra Club Canada Foundation, said he was worried.